Esther is a piece of history that has it all: an orphaned girl from an ethnic minority becomes an empire's most powerful woman. We have tears and intense sorrow, intrigue in high places, great joy and celebration - and what a line-up of colourful characters! Introduces readers to an orphaned girl from an ethnic minority who becomes the empire's most powerful woman. This profound story of how God worked through an unlikely source to save his chosen nation - an inspiration to men and women through the ages, it points to the ultimate power, control and love of God. From this seven-session Bible study you will gain inspiration and insights as you enter the rich 'pantomime' that is the story of Esther. 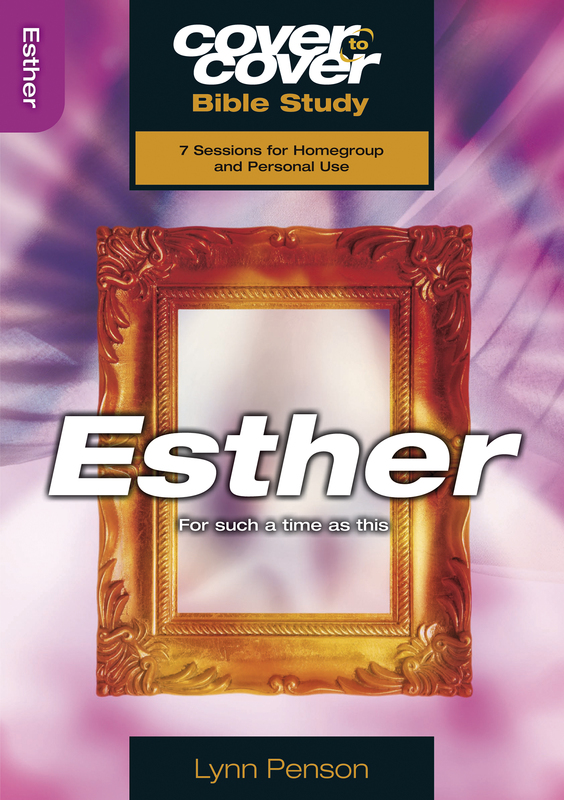 Cover To Cover Bible Study Guide: Esther by Lynn Penson was published by CWR in May 2009 and is our 1350th best seller. The ISBN for Cover To Cover Bible Study Guide: Esther is 9781853455117. Got a question? No problem! Just click here to ask us about Cover To Cover Bible Study Guide: Esther. How many questions are there per session? Is the study deep enough for mature believers AND 'encouraging for younger in the faith'? A:There is about 7 questions per session. The questions are designed to be relate-able to all ages of belief, but may lean more towards to more recent believers at times. Thank you for using the Q&A Forum. How many studies are there and how long is it? A:The Cover to Cover Bible studies provide a resource for group and individual study sessions lasting between one to two hours. Each title consists of seven stimulating sessions and includes opening ice-breakers, Bible references, discussion starters and suggestions for personal application. Is this suitable for small group Bible study, please? Alongside the Lifebuilder 'Esther' perhaps? A:Certainly, the Cover To Cover series of study notes are designed for exactly this purpose; this title features seven sessions for housegroup and personal use.